Sai Baba left His mortal coil on October 15, 1918, Vijaydashmi (also called Dusherra) day. Since then this festival holds great importance in the history of Shirdi and hence it is celebrated with all pomp and show. 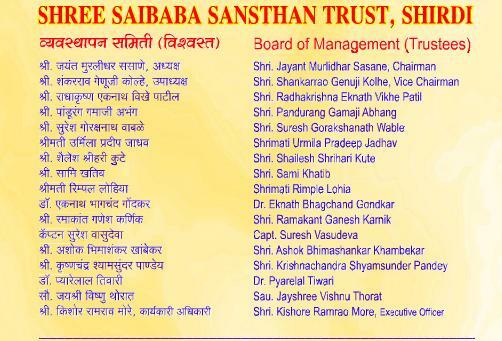 Shri Sai Baba Sansthan Trust, Shirdi, every year sends invitations to aspiring devotees of Baba to come and join the event. 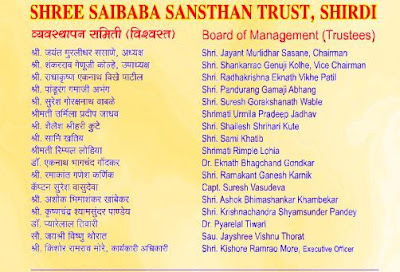 Below is the official invitation and programme details for four days as shared by Shri Sai Baba Sansthan Trust, Shirdi on its website. 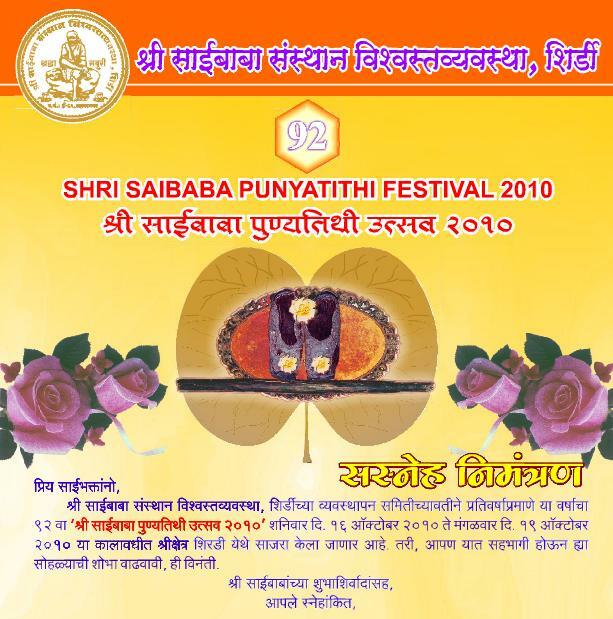 Members of the Board of Management, Shri Saibaba Sansthan Trust, Shirdi cordially invite you to join them in celebrating 92nd "Shri Sai Baba Punyathithi Festival" from Saturday 16th October to Tuesday 19th October at Shirdi. Saturday 16-10-2010 from 7:30 pm to 9:00 pm and 9:30 pm to 10:30 pm by invited artists. Sunday 17-10-2010 from 7:30 pm to 9:00 pm and 9:30 pm to 10:30 pm by invited artists. Monday 18-10-2010 from from 7:30 pm to 10:30 pm and 9:30 pm to 10:30 pm by invited artists. Tuesday 29-9-2009 from from 7:30 pm to 10:30 pm and 9:30 pm to 10:30 pm by invited artists. 1. Sai Devotees desiring to participate in the Akhanad Parayan may enroll their names at the Temple stage, in Samadhi Mandir on 15-10-2010 between 2:00 pm to 6.00 pm. Participants will be selected by draw lots at 7:30 pm on the same day. 2. Sai devotees desiring to participate in the "Bhiksha Zoli" programme may enroll their names at the temple stage on 16-10-2010 between 8.00 am and 11.30 am. Participation will be selected by draw of lots on the same day at 2.00 pm. 3. Artists desiring to present their programmes on 17-10-2010 may register their names to Temple staff at announcement centre. 4. During the festival period Saisatyavrat (Satyanarayan) and Abhishek Pooja will be performed as usual. 5. On all four days of festival Auction sale as Prasad of Sacred clothes, Articles etc offered to Shri Sai Baba will be as usual. 6. The Board of Management reserves the right of making alterations in the programme as may be deemed to be necessary.